We can help you take your historical project back to its original splendor and also give it many years to come. Plaster restoriation can also offer you the potential to re-design the archtecture in such a way as to keep the original spirit of the building. 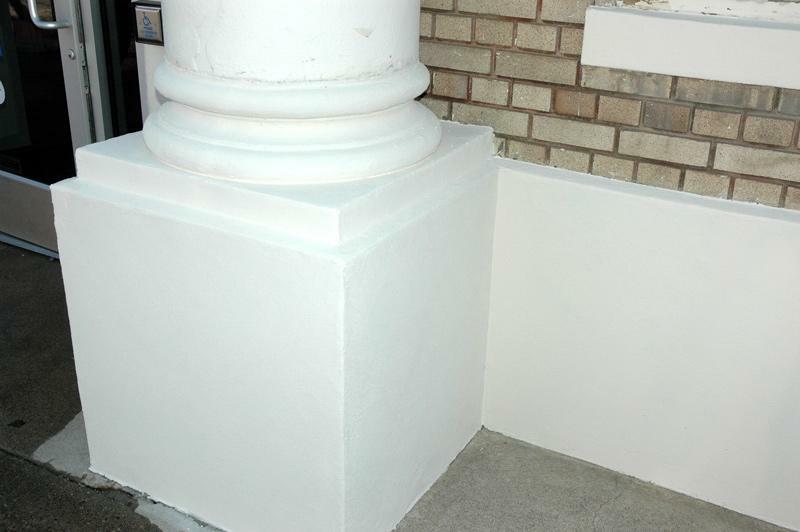 Plaster restoration can enhance the curb appeal of the building as well as aid in the energy effenciency of the building, both of which can help increase its value. We have tackled restoration projects from Public schools, to historical downtown theatres, to custom homes. With each project we try to help match the existing surface areas as well as increase the structural integrity of the surface to help it last for years to come. 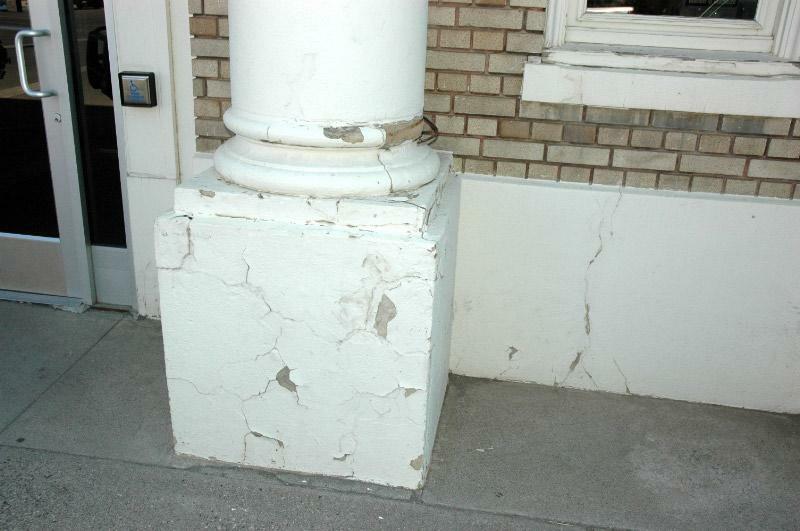 Hundred years old plaster column with cracks and missing pieces. Improved filled in missing pieces and refinished.